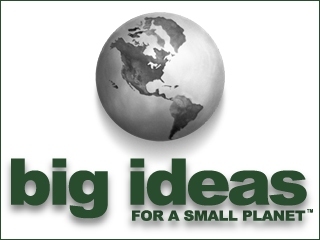 So what’s the big idea? It’s the second season of The Green on the Sundance Channel where each episode profiles innovations that may help us all become eco-friendly with the theme being Big Ideas for a Small Planet: Power, Fashion, and Gadgets. The power episodes explores the use of alternative energy through resources like the sun, wind and even cow manure. Fashion lovers may want to tune in to learn about individuals who are bringing green to fashion, clothing stores and to dry cleaners, and tech enthusiasts can check out the latest gadgets that may rewrite our future such as circuit boards made from chicken feathers or shopping malls powered by the shoppers themselves. Log onto SundanceChannel.com for more information.